The Lima group will meet in Canada on February 4 to address the Venezuela crisis. For those of you who doesn’t even know who the Lima Group is, don’t worry; neither did we, many of us who are in the business of following this stuff. It is a multilateral body formed by Canada of Latin American countries that includes Argentina, Brazil, Canada, Chile, Colombia, Costa Rica, Guatemala, Honduras, Mexico, Panama, Paraguay, Peru, Guyana, and St. Lucia. The last two countries just joined. The group was established in August of 2017 as an opposition to the OAS because they couldn’t get the decisions that they wanted to get out of the Organization of American States. So they formed a organization to address the Venezuela crisis. And in its mandate it states that it is established to bring about a peaceful resolution to the Venezuela crisis. Joining me now to discuss Canada’s role in the Venezuela crisis today is Yves Engler and Paul Jay. Yves is a Canadian commentator and author of several books, and the most recent one is Left, Right: Marching to the Beat of Imperial Canada. 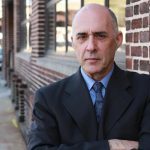 And Paul Jay is the Senior Editor-In-Chief here at The Real News Network. And he was also the former executive producer of Counterspin, a current affairs debate show that took place in Canada on the Canadian Broadcasting Corporation for nearly ten years. Thanks for joining us, Paul. SHARMINI PERIES: So, Yves, let me go to you first. First of all, tell us about who or what this Lima Group is, why it was formed. And then, of course, why is Canada leading the charge here, along with the United States, in the Venezuela crisis? YVES ENGLER: Yes. The Lima Group was formed because the governments that were critical of the Maduro government in Venezuela, because they couldn’t get resolutions through the Organization of American States. They didn’t have the majority of votes to pass resolutions at the OAS. So they basically set up another forum to bring together governments, mostly right-wing governments, in Latin America that were critical of the Maduro government. And Canada has played–was right there at the founding. Canada hosted the third meeting of the Lima Group, and now is hosting a second meeting; I think the first country to host two different meetings of the Lima Group. And this is just part, one part, of a multifaceted Canadian campaign to undermine the Maduro government in Venezuela. That campaign includes all kinds of critical comments against the Venezuelan government; includes back in September bringing the Venezuelan government–first time ever that a member state has brought another member state to the International Criminal Court. Canada and a couple of other governments brought Venezuela to the International Criminal Court. Canada has brought in three rounds of sanctions against Venezuela. Canada has been funding opposition groups in Venezuela. Canada has been pressuring Caribbean countries to join the Lima Group, to join the critical statements of the Maduro government. And so–and then in recent–last few weeks, last couple of months, Canada has been right at the forefront in this campaign to recognize the head of the National Assembly, Juan Guaido, as the interim president, as the president of Venezuela, and completely reject the legitimacy of the Maduro government. So the Liberal government in Canada is viewed by many as a sort of a progressive government. But the Trudeau government in Canada has been right at the forefront of this campaign to try to undermine the Maduro government. And you know, this is certainly what they’re looking for. My estimation is their preference would be a military coup. But there is some indication that Canada even would be fine with a foreign invasion. In fact, when the head of the Organization of American States a few months ago sort of mused about a possible foreign invasion, the Lima Group, or 11 of the 14 members of the Lima group, criticized the head of the Organization of American States for talking about a foreign invasion. Canada, Colombia, and Guyana were the three countries that refused to to condemn any talk of a foreign invasion. So possibly even Canada is prepared to accept some form of military type intervention as part of this effort to get rid of the Maduro government. SHARMINI PERIES: All right. Paul, for many of us who feel warm and cozy about Canada being a peace loving nation that goes around the world with peacekeeping forces and not military forces–of course, that is a mythology. Give us a sense of the history of Canada’s role in these kinds of situations. PAUL JAY: Well, let me talk specifically about Venezuela. Just a little note, first of all. Mexico was part of the Lima Group, but now with the new leadership, with AMLO now taking office in Mexico, Mexico is not going along with this plan to recognize Juan Guaido. Guaido or Guido? I keep mixing it up. PAUL JAY: Guaido. Thank you. Is not going along with this, and has called for–that it is a domestic affair, and that there should be negotiations. And Mexico is not the only country of the region. Many, many countries of CARICOM have come forward and have said they do not support this plan. So the corporate media is trying to make this sound like the whole region’s on board with this scheme. Canada’s argument here, and it came out in the Canadian press recently, that the formation of the Lima group in 2017–and for months Canada has been playing a leading role in preparing for, according to the Canadian newspapers, for exactly what happened, the recognition of Juan Guaido. I keep screwing up his name, I’m sorry. Guaido? Am I saying it right? Juan Guaido. And that this has been a scheme for months. And Canada has been into this scheme for months. And the rationale is supposedly that the election of 2017 was not a legitimate election because there was the, people were supposedly kept out. The press is not telling people that there was a big boycott from the opposition that didn’t want to run. But because of–there are supposed to have been various infractions in the 2017 elections that reelected Maduro. This is the rationale for why Canada gets so involved. Well, it’s a total crock. And the reason it’s a crock is I know from personal experience that Canada has been trying to destabilize and nurture and promote the opposition in Venezuela at least from 2004. When Chavez was still in power, Chavez had been elected over and over again with internationally observed elections. Everyone said the elections were clean during the Chavez period. Many people that tried to throw the elections into disrepute were invalidated. The Carter Center legitimatized them. I actually personally was on an election observer mission to go to polling stations in 2004, 2005, one of the elections leading up to the referendum on Chavez’s presidency. And I went to 40 polling stations, and I interviewed opposition people in all 40 polling stations in Caracas. And I asked, have you seen any infractions? And if there were any infractions were they dealt with properly. And I took video, and I recorded it all, and there wasn’t a single complaint from an opposition observer that there had been anything done incorrectly with those elections. And in fact, this vote was called the report. So it’s a complicated thing, but it led to a referendum on Chavez’s presidency. And in fact, the opposition won that vote. Now, right around that time, when they were clean elections, and Chavez was getting elected over and over again, my first trip to Venezuela in 2004, I was producing the big debate show on Canadian TV called Counterspin on CBC Newsworld. I was a well-known documentary filmmaker. I had founded the Big Hot Docs! Documentary Film Festival. So I was a known quantity in Canada. And so when I was in Venezuela I said for the heck of it I’ll go say hello to the Canadian Embassy, and take their temperature. And you know, I was trying to figure out what was going on in Venezuela. And so I went, I went to the embassy. I made an appointment and I went to go see–I figured I’d see some counselor of some kind who would, you know, pat me on the head and say welcome to Venezuela. No, I get, like, the number two charge d’affaires greets me and brings me into a meeting room with seven members of the opposition who then for–it must have been two hours–beat me over the head with how corrupt the regime was, how awful it was, and so on. I’m not going to comment on what was right or wrong with what the opposition people said. I have perhaps that sort of experience. I don’t know. What I do know is what business does the Canadian Embassy have bring in a Canadian journalist into a room with opposition people, doing–essentially trying to involve me in a conspiracy against the Venezuelan government. So this Canadian role in Venezuela, it’s been going on for a long time, and been very, very active in trying to destabilize the situation, promote and nurture the opposition. And clearly for two reasons. 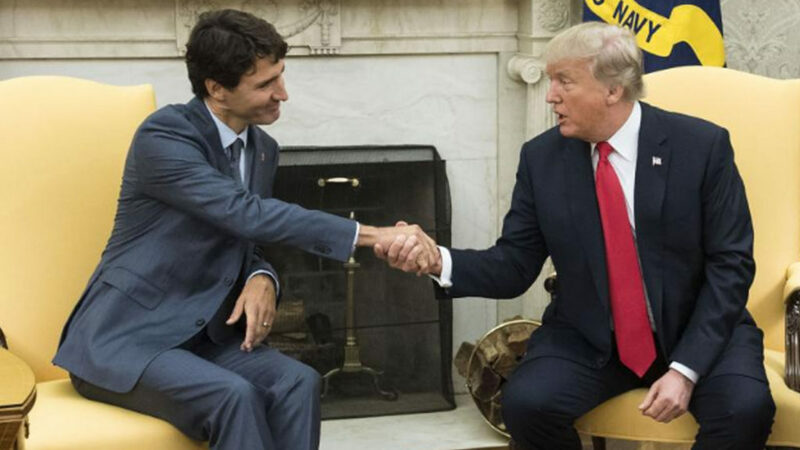 Number one, Canada is one of the biggest mining nations in the world, and Venezuela has tremendous untapped natural resources, particularly gold. And Canada has a very strong gold mining sector. And the gold was not–Canada wasn’t, Canadian companies weren’t easily getting at that gold. There was one company called Crystallex that actually had a concession and then lost it. So the ability to nurture an opposition and get an in with an opposition that might come to power, and then favour Canadian mining companies, I think that’s one motivation. And another motivation, I think, has to do with Canada’s role historically; how it plays with the United States and helps the U.S. and its foreign policy. And I once interviewed a Canadian general in 2004, Lewis MacKenzie. And I asked him, why is Canada so into this Afghan war? You know, this Afghan, post-9/11. It could have been dealt with as a police-type operation, in terms of going after al Qaeda. But a full-fledged invasion, full-fledged regime change. Why is Canada in this, and in it for the long haul? Because it’s 2004, after the invasion of Iraq. And his answer was, I think, very instructive. He said, well, we didn’t go to Iraq. So to keep our ability to selling goods into the United States, we needed to pay with some blood. We needed to send troops to Afghanistan and have some Canadian soldiers killed to show we’re willing to share the burden. He didn’t use the word empire, but that’s essentially what he was saying. So the role of Canada assisting in very nefarious American policy, and giving it this Canadian, oh, we’re for the UN, we’re humanitarians, giving it that veneer, it’s an important role that Canada plays. But it’s, I think, now the recognition of Guaido so exposes Canada because it’s such a clear violation of the UN Charter of non-interference in internal affairs. SHARMINI PERIES: All right. Now, the Canadian media wasn’t really covering this issue very much till recently. And I saw Thomas Walkom in the Toronto Star do a very good article that reinforces what Paul just said about Canada’s role, and the interest of trade, and of course the interests of Canadian corporations getting played out through its foreign policy. And then there was a blast of news in the Globe and Mail today about the Lima Group, and so forth. Tell us how the Canadian media is covering this issue, and are they seeing through the farce here about keeping peace in Venezuela? 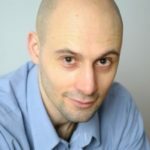 YVES ENGLER: No. I mean, the Canadian media is sort of on two hands. On one hand they are just following the sort of Washington-Ottawa propaganda about how, you know, Maduro’s a total dictator that needs to be overthrown. On one hand they’re doing that, and that’s the sort of bulk of the discussion. But simultaneously they have, as Paul pointed out, the Globe and Mail and the Canadian press both run incredibly–what should be viewed as incredibly damning stories about Canada’s role in building opposition support for Guaido. They talk about how Canada’s facilitating meetings within Venezuela, facilitating meetings internationally to try to solidify support for this recognition of the head of the National Assembly. But I do want to echo, for sure, what Paul is saying. There’s a quote in terms of Canada’s role historically in terms of serving empire, and the fact that sometimes it’s better to have a sort of Canadian face on an intervention than a more sort of, more easily demonized U.S. face. In his biography, Jacques Chretien, a former prime minister, says quite explicitly that he told Bill Clinton that if we just go along with you in everything, we’re just going to be perceived as a 51st state. But if we, if it looks like we have a little bit of independence, we can do more for you than the CIA can do. And it was almost like–that’s a paraphrase, almost word for word. So there’s just this historic kind of putting a bit of a Canada, a positive Canada cover on policies that the U.S. is pursuing around the world. So part of this Canadian policy in Venezuela today is about Canada’s close ties to the U.S. empire. And Canada, in my opinion, has been quite a beneficiary. The Canadian corporate class have been very much beneficiaries of U.S. empire for half a century. And the mining sector in Latin America is a big force, banking sector is a big force that partly explains Canadian policy there today. SHARMINI PERIES: All right. Paul, do you have anything more to add before we sign off here? PAUL JAY: Well, just a, just a quick note that Justin Trudeau, the prime minister of Canada, it was his father that played exactly this role in Vietnam. There was something called the International Control Commission, the ICC, that was, I believe, under the auspices of the UN, supposed to monitor treaties and such and during the Vietnam War. And they would go to Hanoi and interview people in the North, and they would observe, and then they would come back. And it turned out that the Canadian delegation, completely contrary to international law and the norms of such a commission, was going back and reporting to the CIA on what was going on in North Vietnam, and straightforwardly spying. So it seems to be a family business in the Trudeau family to play this kind of a role. 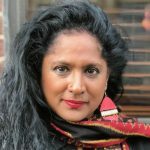 SHARMINI PERIES: And yet at the same time Pierre Trudeau established a different kind of approach when there was sanctions and the blockade against Cuba, where it was beneficial for Canada to have direct relations different from that of the U.S. in Cuba, where the Canadian companies actually benefited from that, as well. PAUL JAY: Well, it’s true. But let’s add to that it was Diefenbaker, the conservative, that established that policy, and refused to join the embargo and sanctions that the Americans tried to get Diefenbaker to impose on Cuba. So while it’s true Pierre Trudeau did that, he was carrying on the policy of Diefenbaker. SHARMINI PERIES: And then subsequent governments actually upheld those, you know, open trade relations and bypassed American blockades against Cuba. So there is precedent set that Canada could follow. So, stay tuned. These conversations will continue here The Real News Network. Thanks for joining us, Yves Engler, in Toronto, yes? SHARMINI PERIES: In Montreal. Yves Engler in Montreal, and Paul Jay right here at The Real News Studio. Thanks for joining us.